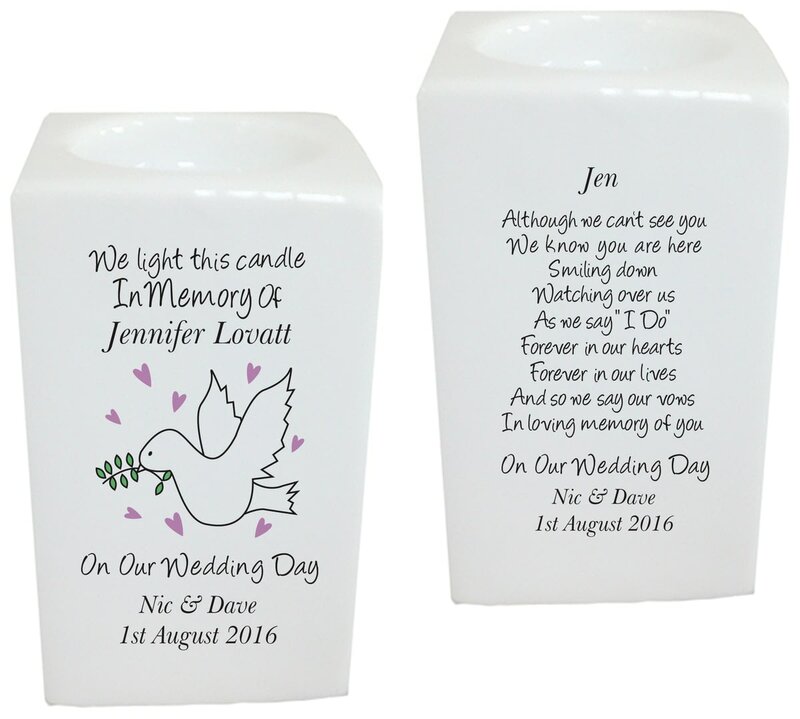 Though they may be gone, their memory will live on and this memorial tea light holder is a unique and solemn gift to mark their life. Though that important someone may no longer be here, a wedding day is a special day they should still be a small part of and with this loving poem about taking vows adorns the back of this commemorative holder, and the names of the bride, groom and the deceased are incorporated onto the front surrounded by a delicate dove of peace design. An ideal and unique way to keep their memory alive on a special day they should be here for. An elegant Heart Swirl design which can be personalised with any message will surely light up any household.